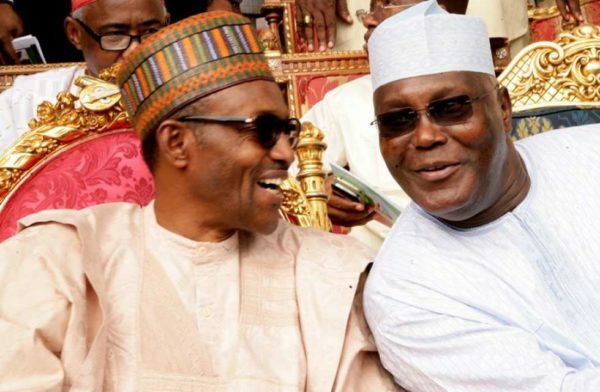 Ex Vice President, Atiku Abubakar, on Wednesday, alleged that he had been pushed to the corner by President Buhari-led government which he said he helped to take over power in 2015. “But sadly, soon after the formation of government; I was side-lined, I have no any relationship with the government, I’ve not been contacted even once to comment on anything and in turn, I maintained my distance. They used our money and influence to get to where they’re but three years down the lane, this is where we are,” Atiku said. He praised President Muhammadu Buhari on the successes recorded in the fight against Boko Haram, but said it was not yet time to celebrate because the ruling government had failed in many fronts. “This thing baffles me; I never imagined that Nigeria will fight a protracted battle with Boko Haram for five years. At a time, we fought the Biafra war, which was more complicated because of the terrain in the South but the Biafran soldiers were roundly subdued in 30 months. But here we’re, fighting an endless battle with the Boko Haram and there’s no end in sight,” he said. On corruption, Atiku said very little was achieved in that respect. “How many people were arrested, prosecuted and jailed? How much was recovered from the looters? “When we came on board in 1999, I remember we recovered between $4.5 and $4.7 billion from those that looted under (Late Sani) Abacha,”‎ he said.